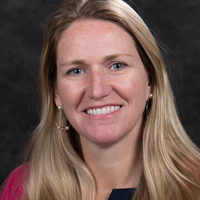 Melissa Spriggs, assistant professor at Webster University, has been named director of the human services graduate program offered in the Nursing Department of Webster's College of Arts & Sciences. Spriggs has been involved in the program since Fall 2015 and served in several capacities including as the lead academic advisor, an adjunct professor, and as the program coordinator and part-time lecturer. Spriggs has worked in the human services field for over 20 years in the areas of disabilities services, substance abuse, juvenile corrections, mental health and several educational settings. Spriggs holds a master’s degree in counseling from Western Illinois University and a doctorate in counseling from George Washington University. As coordinator of the Human Services program, Spriggs has managed student inquiries, advising, and orientation, as well as the hiring and mentoring of new adjunct instructors. She has taught several courses in the program, including the culminating field experience. Enrollment in the program has grown under Spriggs' direction. Spriggs' office is located in Browning Hall 404 and she can be reached at melissaspriggs55@webster.edu, or by phone at extension 3197.